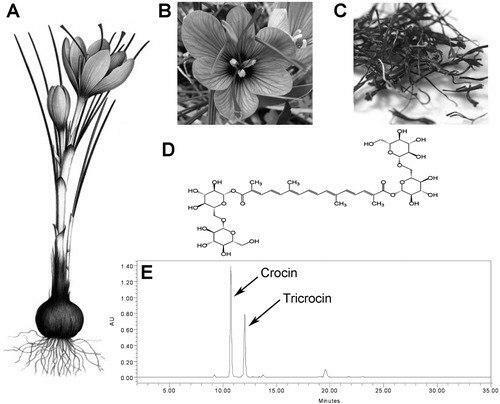 Crocin is a carotenoid chemical compound that is found in the flowers Crocus Sativus (scientific name of Saffron) and Gardenia Jasminoides. 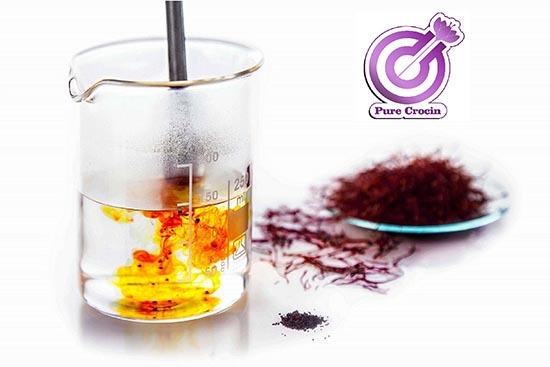 Crocin is chemical compound primarily responsible for the color of Saffron. 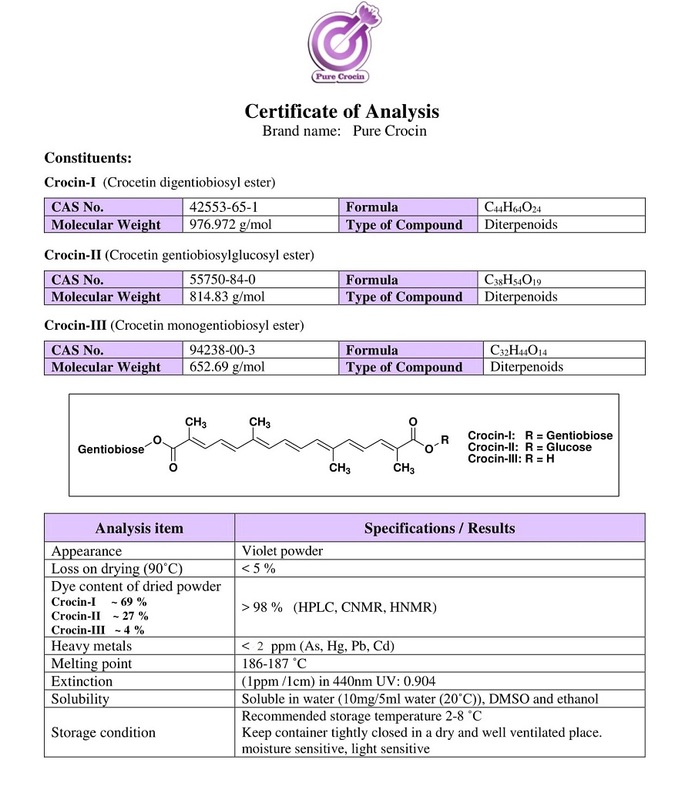 Chemically, Crocin is the diester formed from the disaccharide gentiobiose and the Dicarboxylic Acid Crocetin. When isolated as a pure chemical compound, it has a deep violet color and forms crystals with a melting point of 186 °C. When dissolved in water, it forms an orange solution. It shows good overall performance as a food colorant because it is stable toward light, oxidation, microbiological attack, and changes in PH. Its coloring power is attributed primarily to Crocins. 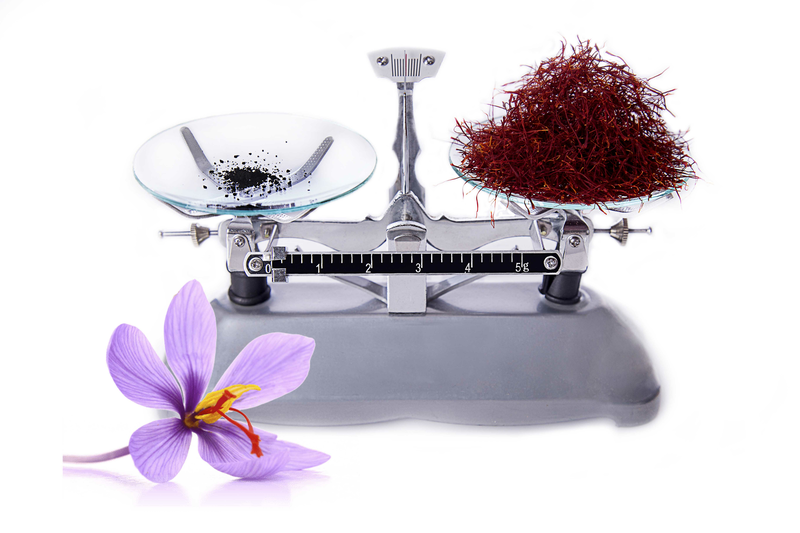 The tincture of saffron used to remove pimples and soothe rashes in Persian traditional medicine mostly by Avicenna (1981) worldly physician who lived a thousand year ago (980-1037).